Spirulina is a dietary supplement with many reported health benefits. It is growing in popularity as a source of preventing or reducing the possibility of getting a whole host of serious medical conditions. It is a nutrient-dense superfood that also helps with weight loss. By taking it on a daily basis, you may improve your overall health. Many times it’s misspelled as spiralina, spirolina, spirilina and spirinella. It is a single-celled organism, a bacterium, a type of blue-green algae which grows naturally in both fresh water and salt water. The dark green color comes from the high content of chlorophyll which contains many healing attributes. Most of it sold today as a greens supplement are commercially produced in controlled environments to reduce the risk of contamination. In fresh or salt water, the blue-green algae can absorb heavy metals and other toxic substances. For your safety, it is important to buy only from reputable brands. Spirulina is widely available in 3 forms, powder tablets and capsules. For optimal results Spirulina powder is the best option as it is the most easily adsorbed and utilized by your body, although it is not as convenient as tablets or capsules. Please more information on powder form see our page Spirulina Powder Benefits. If you are going to use Spirulina tablets we recommend and use the Nutrex brand Spirulina Pacifica. Nutrex Hawaii was founded in Kailua-Kona, Hawaii in 1990 by Dr. Gerald Cysewski, a world-renowned expert in microalgae and carotenoids. Their mission is to utilize the benefits of microalgae to improve health and extend lives in the world wide community. Carved out of land that was once a barren lava flow, Nutrex Hawaii is located on the pristine Kona coast on the Big Island of Hawaii. Their farm draws on the natural resources that surrounds them – abundant warm sunlight, pure deep ocean water and 100% fresh water drawn from Hawaiian aquifers to cultivate: It is used as a whole food and as a nutritional supplement, and it is beneficial to both humans and animals. Capsules deliver the nutrients quickly and is generally thought to be more gentle on the stomach than tablets. For Spirulina capsules we recommend Spirulina Natural by Earthrise is a gluten-free, non-gmo green superfood that is free of herbicides, pesticides and irradiation. One serving of it is equivalent to 7 servings of vegetables in terms of antioxidant content (beta-carotene). It also promotes immune health and healthy inflammatory response and is a powerful antioxidant. The organism has many nutrients including protein, vitamins A, B-complex, C, D and E, and the minerals copper, iron, zinc, chromium, and selenium. There are also small amounts of magnesium, potassium, and magnesium. It also has all eight essential amino acids and high amounts of omega-3 fatty acids. It is considered a superfood as a result of its quality nutritional value. It is available in several forms. The two most common are dried and freeze-dried . 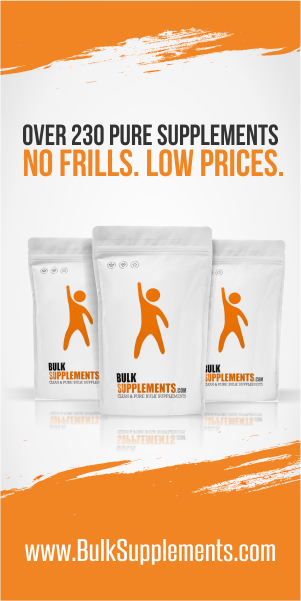 You can purchase it as capsules, tablets, flakes, or powder. A daily dose of 500 mg. is often recommended, but higher doses can also be consumed for a limited time. You should always start out taking small doses each day and gradually increase to the 500mg. There is a potential for adverse reactions and side effects when taking prescriptions or over-the-counter drugs or supplements, you need to talk to your health care provider for advice.